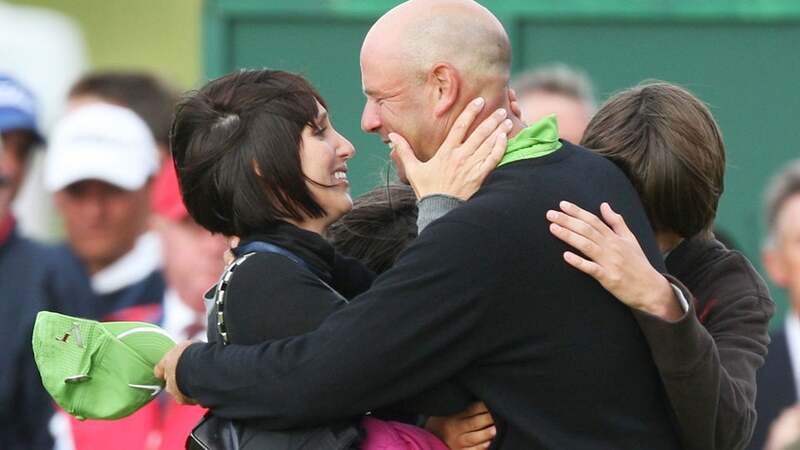 Stewart Cink celebrates with his wife Lisa and family following his playoff victory over Tom Watson in the 2009 British Open at Trump Turnberry. Stewart Cink announced on Tuesday that he's stepping away from competitive golf until circumstances improve for his wife, Lisa, who was recently diagnosed with breast cancer. Cink tweeted the news to his 1.11 million Twitter followers, saying "Since I was 15 years old, @lisacink has been my biggest supporter. It's now time for me to return the favor." The tweet's attached photo had a four-paragraph message, leading with: "Last week my wife, Lisa, and I received some unfortunate news. Lisa has been diagnosed with breast cancer — a startling and unexpected revelation for everyone in our family." Cink, 42, added that they are still in the process of "figuring out exactly what she is fighting." You can read the complete message below. The six-time PGA Tour winner and 2009 British Open champion last played at the RBC Heritage on April 14-15, where he missed the cut.